Yale Door and Window Solutions has become the first manufacturer to be certified by Element Materials Technology (Element) under the new STS218 letterplate security scheme. The scheme, which tests letterplates for burglar resistance, anti-corrosion and durability, is a recent addition to the testing offering at Element’s supersite in Wednesbury, UK. It certifies to TS008 standard, which combats fishing for car keys, manipulation of the thumbturn and stealing of mail, as well as anti-arson. 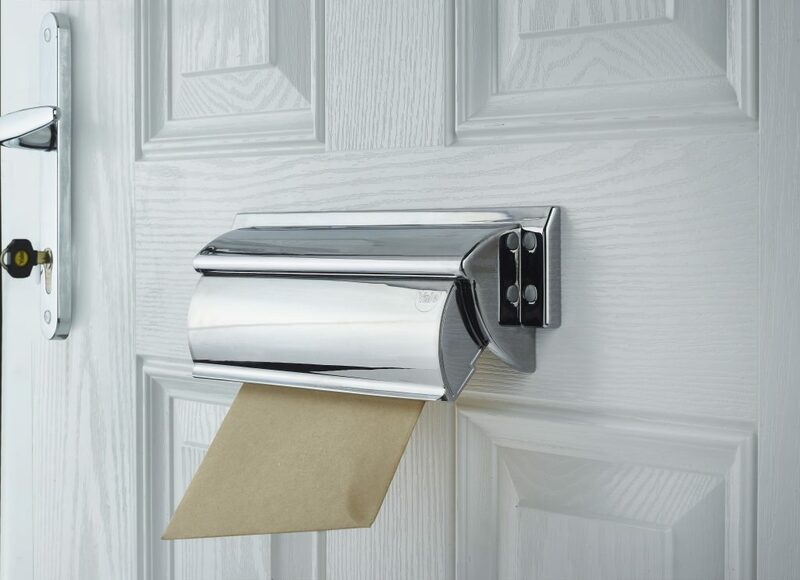 A TS008 compliant letterplate is a requirement of PAS24:2016, Secured by Design and Approved Document Q of the Building Regulations for all new build dwellings. In addition, Yale also appointed Element to carry out STS217 Certisecure security handle certification. This scheme uses a manual attack test to certify the security of handles against cylinder snapping – one of the quickest and most widely used methods of breaking into doors. The successful testing of both will certify Yale’s letterplates and handles as secure products, giving customers a guarantee that they are of the highest quality and meet stringent safety standards. Steve Hall, Business Development Manager for Yale Door and Window Solutions, said: “At Yale, we pride ourselves on exceeding standards and adding true value to our products. We also take testing and certification incredibly seriously; the products we manufacture have to be of the upmost quality and we need to work with well-respected test houses such as Element in order to qualify this. “PAS 24:2016 is now mandatory for all new developments and refurbishment projects that wish to meet Secured by Design (SBD), and this includes the requirement for all letterplates installed on doorsets to be TS008 approved. As a result, many customers will be looking to us for products that adhere to these industry standards. Rob Veitch, EVP Fire & Building Products, comments: “Element is leading the way in door and window testing in the UK and has some of the foremost expertise in the industry. Indeed, our Wednesbury laboratory is currently the only site in the UK that offers STS218 certification with UKAS approval.